Claim: Everything is a copy/derivative of something else (therefore, copyright shouldn’t exist). The crux of this argument is that everything is built on earlier works (part of the public domain or other people’s copyrighted works), and since it’s built entirely out of pre-existing works, the most recent creator has no real claim to the new work. Response: There’s several components to this argument. One aspect of this argument tries to diminish the value and originality of new works. Another aspect is that it makes the assumption that works built on pre-existing works produce no new additional value. First, it’s absurd to say that there’s nothing new under the sun. If it were true, then modern society would be no different than societies in 5000 B.C. There must’ve been lots of new ideas and concepts in the past 7000 years if we are living in the world we currently live in. One also wonders what creators are doing if they’re spending thousands of hours creating new works if everything is really just a derivative. I found Nina Paley’s video is particularly absurd because those statues are obviously inspired by the shape of the human body rather than being copies of pre-existing statues. Second, there is a difference between (1) being inspired by/derivative of an older work and (2) being derivative in the sense of a copyright violation. Copyright allows for the creation of similar works (this means you may draw on earlier works as inspiration, but don’t copy them too closely) and then subsequent works are allowed to draw on your work as inspiration (but shouldn’t copy it too closely). Copyright allows for a significant amount of inspiration from earlier works, while still acknowledging the value of new works (and the importance of rewarding creators for their effort). Under Nina Paley’s “no copyright” system, creators often find themselves bankrupt even when creating important and valuable works. In this sense, it uses the past as an anchor to hold-back the creation of new works. I find her idea to be similar to the idea that “ownership of land is illegitimate because the earth belongs to everyone”. If we begin with “land ownership is illegitimate” as true, we can arrive at some conclusions: “therefore, all buildings are public property because their foundation belongs to everyone” and “all objects are made from our common earth, therefore personal property doesn’t exist” and “farmers aren’t allowed to charge money for food, since food is grown in our ‘common earth'”. We can quickly see how it undermines any construction, manufacturing or farming, leading to a poorer society in the end. Sometimes it’s important to introduce a level of ownership (in this case, ownership of land and copyright) in order to give people an incentive for production and creation of new products. I also think that the creation of new works is similar to what farmers do in another way. Modern farming is based on thousands of years of accumulated knowledge and it’s built on thousands of years of selective breeding. The plants and animals on farms today are very different from the wild-type plants and animals that our ancient ancestors started with. For example, when American Indians started selectively breeding corn 10,000 years ago, they began with Teosinte, which produced only a few hard kernels which were barely edible. After thousands of years of selective breeding, we have ears of corn. See image on right (Teosinte on the left, modern corn on the right, and a hybrid in the middle). It’s not an exaggeration to say that modern farmers are a hundred times more productive than farmers 10,000 years ago. Should we argue that farmers aren’t really doing much of anything, and humanity’s collective effort in selective breeding and farming techniques (which ‘belongs to all of us’) is what’s really the cause of a farmer’s productive output — therefore, we should be allowed to take a farmer’s crops without paying him? In this analogy, the farmers crops are analogous to the actual digital product. It’s also worth pointing out that there are ideas and concepts in all digital-works which are not copyrighted and do not interfere with other creators abilities to be inspired by those works. 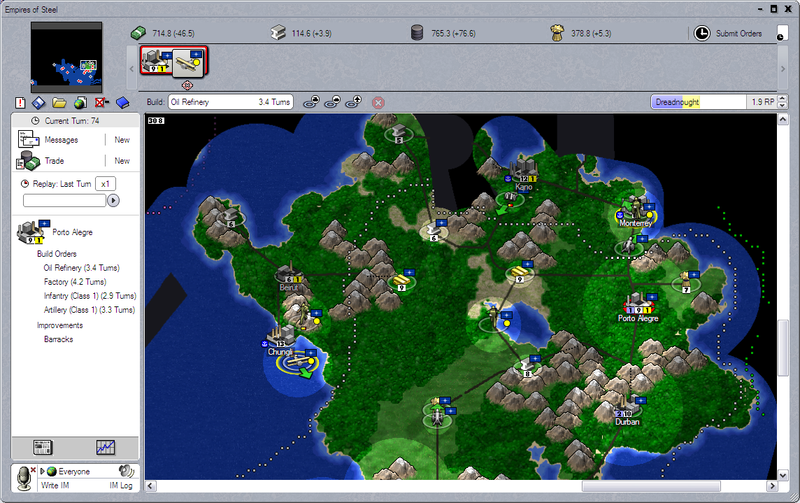 For example, the game “Dune 2” was the first RTS (real time strategy) game. Lots of people have copied that concept (e.g. Warcraft 2, Starcraft, Red Alert, etc), but they didn’t copy the code and they didn’t believe they had a right to make free copies of Dune 2. Similarly, other companies have copied Starcraft (see “StarFront: Collision” for one example). So, copyrighted works perform two different functions: by limiting the actual copying of the product, it gives the creators a chance to make money from their work. But, the ideas and concepts in the product can be used as inspiration for subsequent works – thus moving ‘culture’ forward. The alternative system, where there is not copyright, makes it more difficult for creators to get paid for their work, which undermines the development of new work (because creators take a financial loss on their products), which, in turn, undermines the production of new concepts and ideas for other creators to build on. Th? Encarta dictionary defines creativity ?s “the ability to use the imagination to develop new and original ideas or things, especially in an artistic context. You may surprise yourself and be drawn into your project and keep going. When you choose the right painterly effect on your photograph, you can instantly transform your photographs into a treasured artwork.